Jason Derulo has unveiled the music video for his new single online. The singer/songwriter posted the visual clip for “Get Ugly” to his official YouTube channel on Monday (December 14, 2015). “Get Ugly” was co-written by Jason Evigan and Sean Douglas, who are also behind Maonna’s “Ghosttown” [Interscope], Alyxx Dione’s “Chingalinga” [RCA], and Demi Lovato’s “Heart Aattack” [Hollywood]. Production duties were handled by Ricky Reed, whose other credits include Lunchmoney Lewis’ “Bills” [Kemosabe], Icona Pop’s “Emergency” [Atlantic], and Fifth Harmony’s “Bo$$” [Epic]. Derulo’s latest studio collection “Everything is 4” – featuring previous singles “Want to Want Me” and “Cheyenne” – is now available for download via iTunes in partnership with Warner Bros Records. Watch the music video for “Get Ugly” below. Jessie J has unleashed the music video for her new single online. The British singer/songwriter posted the Hannah Lux Davis-directed clip for “Burnin’ Up” to her official Vevo page on Wednesday (October 08, 2014). “Burnin’ Up” – featuring 2 Chainz – was written by Jessie J along with Andreas “Axident” Schuller, Eric “Wallpaper” Frederic, Chloe Angelides, Jacob Kasher Hindlin, Rickard Göransson and Gamal “LunchMoney” Lewis. Previous promotional cut “Bang Bang” – with Ariana Grande and Nicki Minaj – debuted at number one on the UK Singles Chart. Jessie J’s third studio collection “Sweet Talker” is scheduled to hit stores an digital outlets on October 13 via Lava Music / Republic Records. The follow-up to 2013’s “Alive” boasts further collaborations with Jonas Jeberg (Amerie, Kelly Rowland), Diplo (Usher, Chris Brown), Josh Alexander (Leona Lewis, The Veronicas) and Steve Booker (John Newman, Pixie Lott). Watch the music video for “Burnin’ Up” – out now via iTunes (US) – below. Jessie J has unveiled the official sampler for her upcoming third album. The British singer/songwriter – born Jessica Cornish – is scheduled to release “Sweet Talker” on October 13 via Lava Records / Republic Records. Current single “Burnin’ Up” – now available via iTunes – was written by Jessie J along with Andreas “Axident” Schuller, Eric “Wallpaper” Frederic, Chloe Angelides, Jacob Kasher, Rickard Göransson, and Gamal “LunchMoney” Lewis. “Sweet Talker” boasts further songwriting contributions from Elle Varner, Jenna Andrews, Sevyn Streeter, John Newman, Wayne Hector, Claude Kelly, Savan Kotecha, Louis Biancaniello, and Terius “The-Dream” Nash. On the production front, Jessie J has teamed up with Max Martin, Tricky Stewart, Diplo, Steve Mac, Warren Felder, Andrew Wansel, Ammo, Cory Rooney, Jonas Jeberg, Will IDAP, Steve Booker, and Jason Evigan. Watch the music video for “Bang Bang” below. Jessie J has unleashed her new single online. The British singer/songwriter posted the audio clip for “Burnin’ Up” – featuring 2 Chainz – to her official Vevo page on Monday (September 22, 2014). The track was written by Jessie J – born Jessica Cornish – along with Andreas “Axident” Schuller, Eric “Wallpaper” Frederic, Chloe Angelides, Jacob Kasher, Rickard Göransson, and Gamal “LunchMoney” Lewis. “Burnin’ Up” follows the Ariana Grande & Nicki Minaj-assisted “Bang Bang,” which peaked at number four on the US Billboard Hot 100 Singles Chart. Jessie J’s third studio collection “Sweet Talker” is scheduled for release on October 13 via Lava Records / Republic Records. The highly-anticipated LP will boast additional alliances with Ammo (Beyonce, Katy Perry), Claude Kelly (Tamia, Leona Lewis), Jason Evigan (Fifth Harmony, Demi Lovato) and Wayne Hector (Ella Eyre, Britney Spears). Listen to “Burnin’ Up” – now available via iTunes (US) – below. Jessie J has revealed the songwriting credits for her upcoming album. The British singer/songwriter – born Jessica Cornish – is scheduled to release “Sweet Talker” on October 13 via Lava / Republic Records. 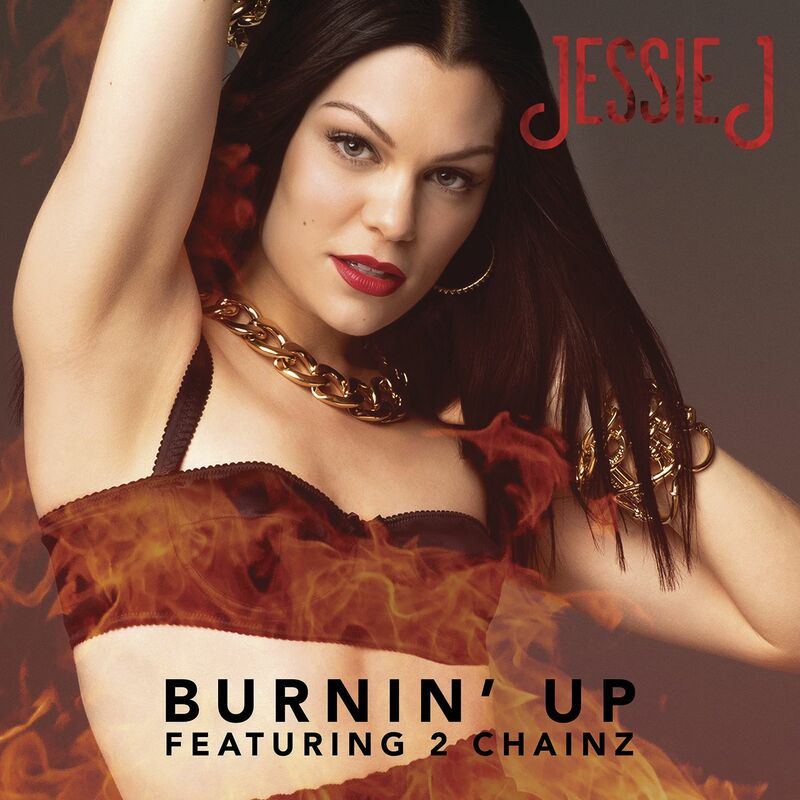 Current single “Burnin’ Up” – featuring 2 Chainz – was written by Jessie J along with Andreas “Axident” Schuller, Eric “Wallpaper” Frederic, Chloe Angelides, Jacob Kasher, Rickard Göransson, and Gamal Lewis. Other album songwriters include Elle Varner (Miguel, Emeli Sande), Jenna Andrews (Marsha Ambrosius, The Band Perry), Wayne Hector (Ella Eyre, Paloma Faith), and Sevyn Streeter (Ariana Grande, Chris Brown). On the production front, Jessie J has teamed up with Pop & Oak (Usher, K. Michelle), Jonas Jeberg (Amerie, Kylie Minogue), Tricky Stewart (Ciara, Kelly Rowland) and Steve Mac (Ella Henderson, Leona Lewis). Peep the songwriting credits for “Sweet Talker” below. Written By: (David Gamson / Emily Warren / Scott Harris). Written By: (Jessica Cornish / Andreas “Axident” Schuller / Eric “Wallpaper” Frederic / Chloe Angelides / Jacob Kasher Hindlin / Rickard Göransson / Gamal Lewis). Written By: (Jessica Cornish / Alessia DeGasperis Brigante / Yonatan Ayal / Maxime Picard / Clement Picard / Thomas “Diplo” Pentz / James Somani). Written By: (Savan Kotecha / Rickard Goransson / Max Martin). Written By: (John Newman / Steve Booker). Written By: (Elle Varner / Jenna Andrews / William Wiik Larsen). Written By: (Emily Warren / Britt Burton / Josh Alexander). Written By: (Jessica Cornish / Warren “Oak” Felder / Andrew “Pop” Wansel / George Clinton / Philippe Wynne / Kelvin Mercer / Dave Jolicoeur). Written By: (Jessica Cornish / Jonas Jeberg / Jason Evigan / Sean Douglas). Written By: (Terius “The-Dream” Nash / Christopher “Tricky” Stewart). Written By: (Amber “Sevyn” Streeter / Louis Biancaniello / Cory Rooney / Stepan Taft / Ryan Vojtesak). Written By: (Jessica Cornish / Kuk Harrell / Hidde Huijsman / Massimo Cacciapuoti / Michael van der Zanden). Written By: (Jessica Cornish / Claude Kelly / Joshua “Ammo” Coleman). Written By: (Jessica Cornish / Lewis Allen).